Lukashenka and his entourage believe that their resistance to the wave of democratisation from the West is quite rational and well-reasoned. They hope that sooner or later, if they remain tenacious and consistent, the West will let them alone and will accept their reasons. It will not criticise Lukashenka (or his autocratic successor) more than it criticises presidents of Kazakhstan and Azerbaijan. Last month, Lukashenka and Foreign Minister Uladzimir Makiej gave interviews where they substantiated position of authorities in their relations with the West. Their first message is that Belarus is not ready for democracy. Lukashenka denies democracy as it is defined by the Western civilization. 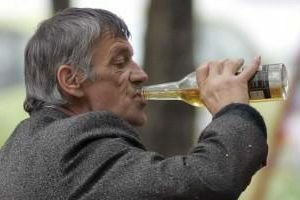 Makiej hints in some of his statements that Belarus has a long way to go before becoming a democratic country. Their second message – if the West "exports democracy" to Belarus (regime change happens), the West will get many problems in Belarus which it is absolutely not ready to handle now and will not be ready during a long time. On 4 October Lukashenka said that politicians in the West did not know Belarus at all and did not understand its specifics: "Brussels politicians do not probably know where this Belarus is situated, and even if they know, they think that we have nothing here but swampland and two small rivers". Insisting on democratisation, "the European Union wants not only turn upside down history but also our country". Drawing on the example of Arab countries where the regime change took place, Lukashenka pointed out that the West was "exporting revolution and not democracy". "I said already in the first days of these revolutions that the West should be condemned for interference; nobody has the right to interfere in internal affairs of states; they should sort out their affairs on their own. It was seen by the naked eye that it was a foreign, overseas scenario. And after situation began developing in a bad direction for them (for those scriptwriters), they launched open bombing attacks. Nobody needs export of revolution. So, why would you need to export democracy, in their understanding of this word? Democracy is good, but are people ready and are the conditions in place for receiving such democracy in the country? They must have seen that it was not possible, that those states were not ready for it". 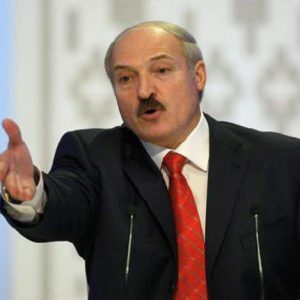 Lukashenka did not speak about possibility of the regime change in Belarus. He persuades both the West and Russia that his power in Belarus rests on broad popular support and impregnable. However, drawing on the example of the regime change in those countries, the specific features of which ("they are not ready for democracy") the West, in his opinion, does not understand, Lukashenka said that the West got big problems: "What, did they need Islamisation of the Arab East? Did they need it? No, they didn't. Now they regret it themselves, if they understand already what they have done and what they are doing now". 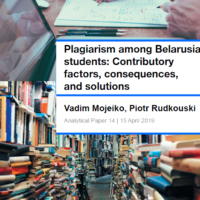 On October 18, press secretary of the Belarusian Foreign Ministry Andrej Savinykh repeated what was said by Lukashenka and Makiej in a more adequate way and named Belarus specifically. In particular, Savinykh said: "Western politicians demand that these (democratic) standards are introduced immediately, instantaneously, ignoring economic and political shocks and disproportions, which will arise inevitably if this process is sped up artificially. Proven record of many countries showed that artificial social experiments never brought positive results. This assertion is fully recognised by Western academic community but silenced by Western politicians". Perhaps, Lukashenka, Makiej and the nomenklatura frightened by the events of 19 December 2010, think that repression in Belarus is directed against revolution and revolutionaries. In October, Lukashenka made a number of statements where he condemned actions of the "fifth column" of the West – opposition, as well as the West for its support of revolution. On 20 October, Lukashenka said: "Money for opposition activities arrive through Poland and Lithuania, these main channels, as well as from various Western foundations, we know it. The masters are in the United States, Germany, and the Great Britain. And I wouldn't say that these are some private foundations, some businessmen, no, these are foundations financed by the state". However, in fact, the activities of the authoritarian power are directed against any precondition for democratic development in Belarus. While justifying its actions by fight against revolution and radicals, the authorities dealt another blow against civil society. Persons who, with all imagination of the authorities, could not be classified among assaulters or revolutionaries got in the firing line. On 2 October, financial police officers from the Financial Investigations Department of the Committee for State Control. searched the premises of independent publisher and editor-in-chief of Arche magazine Valer Bulhakau. More than 5,000 books were confiscated. On October 18, he was sentenced to a fine for illegal business practices. On 12 November, facing institution of criminal proceeding, Valer Bulhakau had to leave Belarus. Taking into account the many words said by Lukashenka about “senseless pressure” and the following speech by Savinykh about unpreparedness of Belarus to make a jump into democracy, as the West wants it to be, one can suppose that in case the talks start, the authorities will offer a definite “zero variant” to the West. The West will close eyes on everything what happened in Belarus on 19 December 2010 and later (beatings, dismissals, arrests, tortures). The authorities in their turn will release political prisoners and will talk about it as a large step towards the West. This is Lukashenka who will gain from it to a larger degree. The released political prisoners will remember for a long time what they have lived through behind bars. The society that they will see after the release will be significantly different form the one before 19 December 2010. Just before 19 December 2010 Lukashenka claimed that no one would support the leaders of the opposition, people would not go out to the square. On the day of the next presidential elections Lukashenka will have much more confidence that the elections will be quiet and calm. It will be announced about the victory of Lukashenka with a huge overbalance in the first voting. And nobody will spoil him his play with the West.